As medieval Chinese manuscripts were copied and recopied through the centuries, both mistakes and deliberate editorial changes were introduced, thereby affecting readers' impressions of the author's intent. In Tao Yuanming and Manuscript Culture, Xiaofei Tian shows how readers not only experience authors but produce them by shaping texts to their interpretation. Tian examines the mechanics and history of textual transmission in China by focusing on the evolution over the centuries of the reclusive poet Tao Yuanming into a figure of epic stature. Considered emblematic of the national character, Tao Yuanming (also known as Tao Qian, 365?-427 c.e.) is admired for having turned his back on active government service and city life to live a simple rural life of voluntary poverty. The artlessness of his poetic style is held as the highest literary and moral ideal, and literary critics have taken great pains to demonstrate perfect consistency between Tao Yuanming's life and poetry. Earlier work on Tao Yuanming has tended to accept this image, interpreting the poems to confirm the image. Tao Yuanming and Manuscript Culture is a study of how this cultural icon was produced and of the elusive traces of another, historical Tao Yuanming behind the icon. By comparing four early biographies of the poet, Tian shows how these are in large measure constructed out of Tao Yuanming's self-image as projected in his poetry and prose. Drawing on work in European medieval literature, she demonstrates the fluidity of the Chinese medieval textual world and how its materials were historically reconfigured for later purposes. 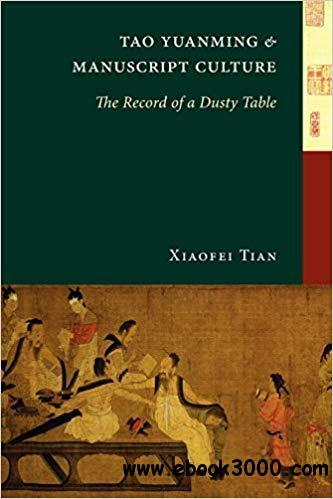 Tian finds in Tao's poetic corpus not one essentialized Tao Yuanming, but multiple texts continuously produced long after the author's physical demise. Her provocative look at the influence of manuscript culture on literary perceptions transcends its immediate subject and has special resonance today, when the transition from print to electronic media is shaking the literary world in a way not unlike the transition from handwritten to print media in medieval China.